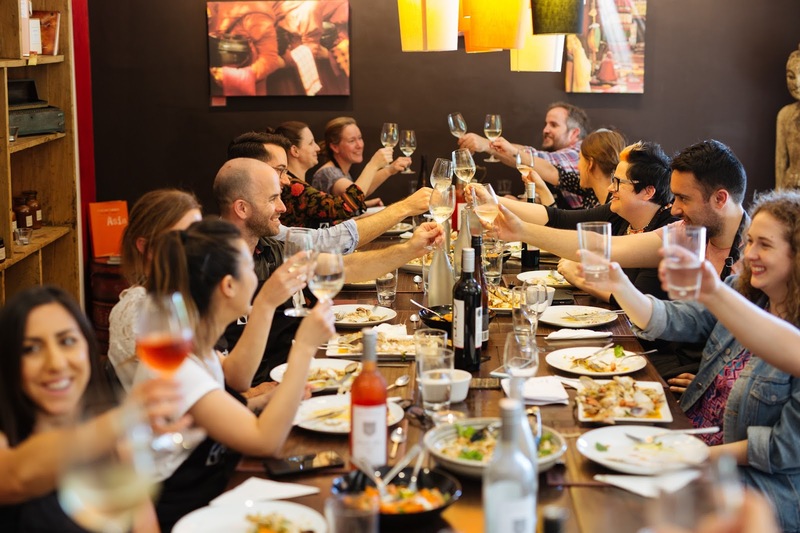 Situated in the charming Stirling in the Adelaide Hills, Sticky Rice Cooking School is an award-winning venue specialising in Asian inspired cooking classes such as Thai, Vietnamese and Japanese, and even dabbling in Spanish and Moroccan. 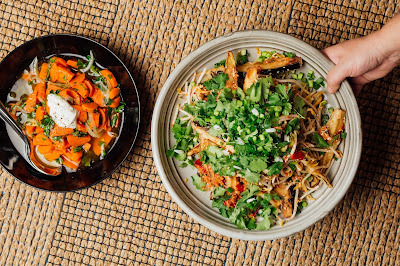 Described by owner Claire Fuller as ‘delivering a wealth of knowledge and fun along the way’, the classes offered at Sticky Rice Cooking School are truly unique and full of character – something that is oddly hard to find at all cooking schools. The whole experience at Sticky Rice Cooking School is educational and inspiring, and it is obvious that real thought, passion and knowledge has been put into crafting each and every moment. Each four-hour class concludes with a full banquet style meal in the dedicated dining area of all the dishes students have cooked throughout the class. The dishes are also thoughtfully matched with local Adelaide Hills wines for students to enjoy. Another one of the reasons that Sticky Rice Cooking School is such a thorough and quality experience is due to the use of superior cookware appliances in their classes. The Sticky Rice kitchens are fully fit out with Electrolux appliances, who are global leaders in cooking appliances not only for home, but for professional use too. On The Chopping Board (OTCB) was recently invited to Sticky Rice Cooking School for the ultimate Back to Basics Cooking Masterclass with Electrolux Ambassadors Massimo Mele from Salt Meats Cheese and Stewart Wesson from Whistle & Flute. All food and drinks were provided on behalf of Sticky Rice Cooking School and Electrolux. The Back to Basics Cooking Masterclass with Massimo and Stewart consisted of many tips and tricks, specifically focusing on six flavour packed recipes perfect for entertaining this Summer. Our group of keen cooks was divided into smaller groups, each focusing on one or two recipes in order to prepare everything for a sit down lunch. 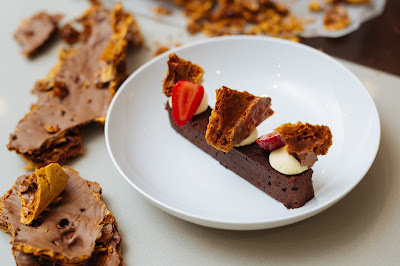 Amongst the mix were recipes created especially for Electrolux by Massimo and Stewart, including Mamma Maria’s pickled carrots, Thai style crispy eggplant, steamed John Dory with pippies, chorizo, olives and parsley and a chocolate soufflé cake with chocolate coated honeycomb. 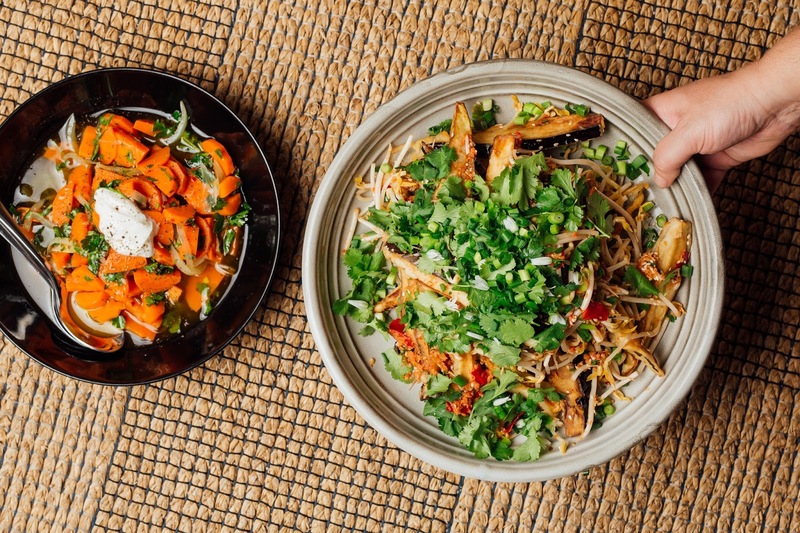 The group that I (Taylor) was in were in charge of preparing the Thai style crispy eggplant served with bean sprouts, sesame seeds and copious amounts of fresh coriander. After being lightly coated in a corn and rice flour batter, we deep fried the strips of eggplant until golden in colour and perfectly crunchy. 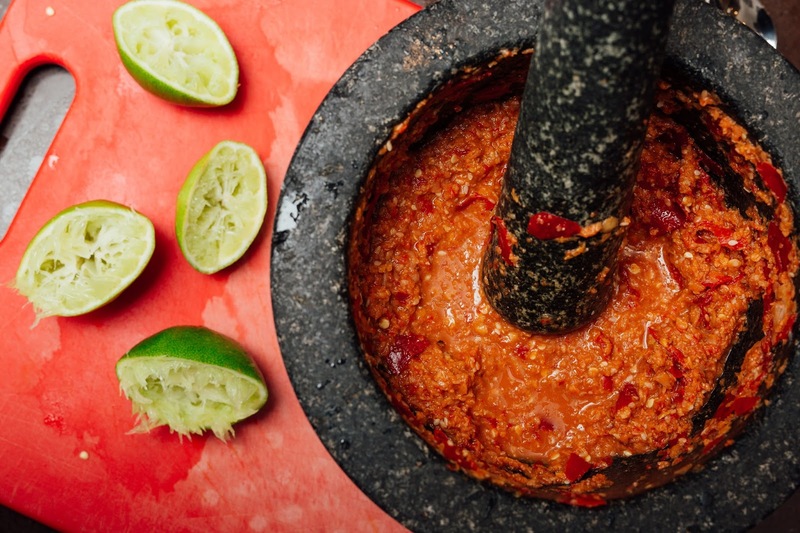 Just before serving, we tossed the eggplant in a home made chilli paste that burst with flavours of garlic, lime and ginger which added a real kick to the dish. Alongside the eggplant dish we enjoyed Massimo’s recipe for Mamma Maria’s pickled carrots – a refreshing accompaniment to the spicy salad. I found the carrot pickle to be a particularly interesting dish, as the carrots were perfectly steamed before being marinated in a pickling liquid of white vinegar, garlic, oregano and olive oil. To serve, the pickled carrots were topped with tangy goats curd and chopped fresh parsley. This dish was a perfect example of a back to basics recipe that was packed full of flavour, colour and texture, and could easily be achieved with ingredients commonly found in the kitchen at home. The main dish of the day was steamed John Dory with pippies, chorizo, olives and parsley, which was a real crowd pleaser around the table. The flavour combination of this dish was impossible to fault – smokey chorizo, salty green olives and fresh herbaceous parsley all encompassed in a rich, buttery sauce. The John Dory was cooked in two stages. Firstly, the whole fish was quickly barbecued to introduce a charred flavour (pictured above), before being steamed with all other components of the dish in an Electrolux steam oven. There are many benefits of using a steam oven, as the function enables the original moisture to be retained in food while cooking and helps things to cook more evenly. 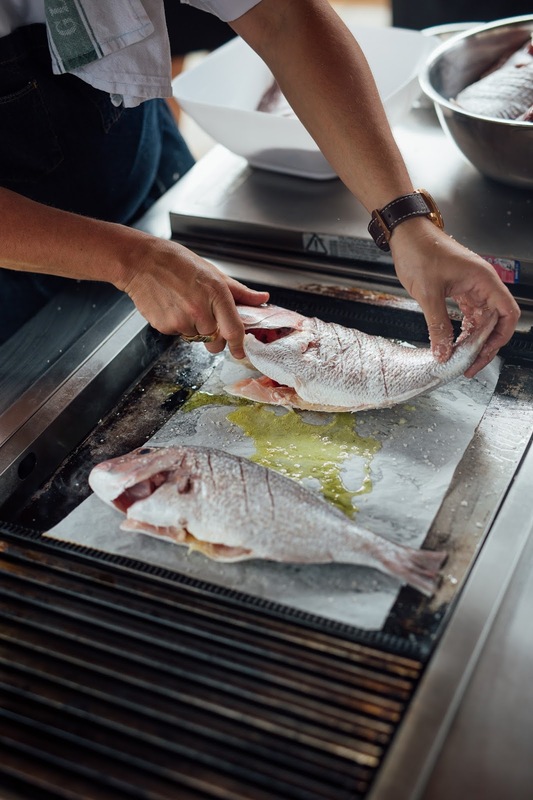 This is also particularly useful when cooking seafood like whole John Dory, as whole fish can easily dry out or overcook in a conventional oven. The John Dory we enjoyed at lunch was exceptionally well cooked, and had a fresh, clean flavour. 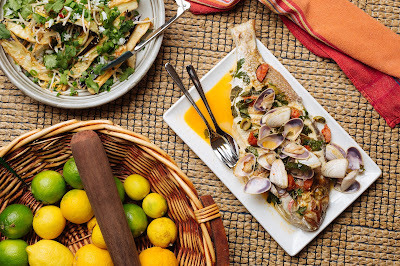 I will definitely be trying to re-create this dish at home! We finished our lunch on a sweet note with another recipe using the Electrolux steam oven – Stewart’s Ernie chocolate soufflé cake with chocolate coated honeycomb. The extra moisture in the steam oven creates the perfect environment for a soufflé cake to bake – resulting in a moist but light cake that was rich in chocolate flavour. Everyone needs a go-to chocolate cake recipe that is simple and fail-proof, but impressive for any occasion at the same time – and this chocolate soufflé cake definitely ticks those boxes! After a fun few hours of cooking Massimo and Stewart’s back to basics recipes that highlighted some of the great benefits of the Electrolux appliances, it was fantastic to sit down and enjoy all of the dishes we created as a group. The large, light filled dining room is definitely one of the aspects that sets Sticky Rice Cooking School apart from other schools in Adelaide. Sticky Rice Cooking School still have some classes available before the end of the year, but are always adding to their exciting schedule – make sure you check out their website to see what’s new! To discover more fantastic recipes from Electrolux Ambassadors, check out their directory here.